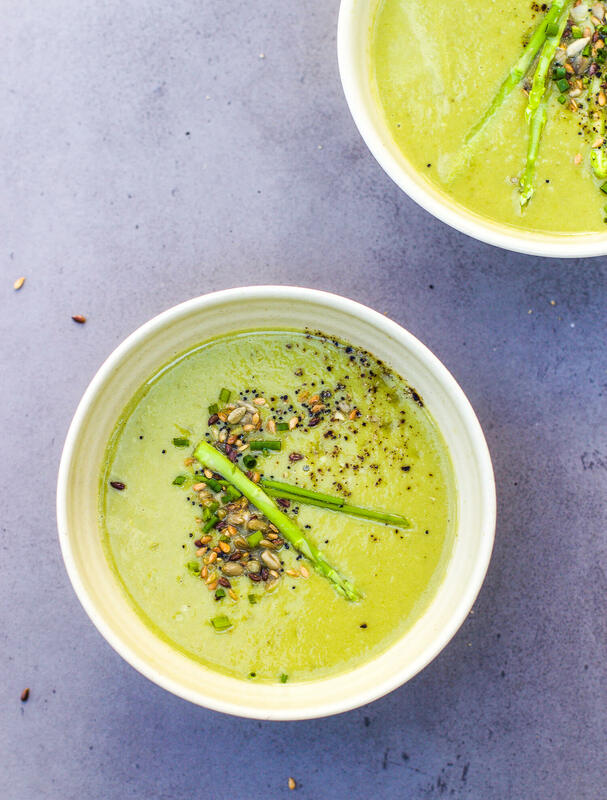 This asparagus soup is the perfect summer soup. 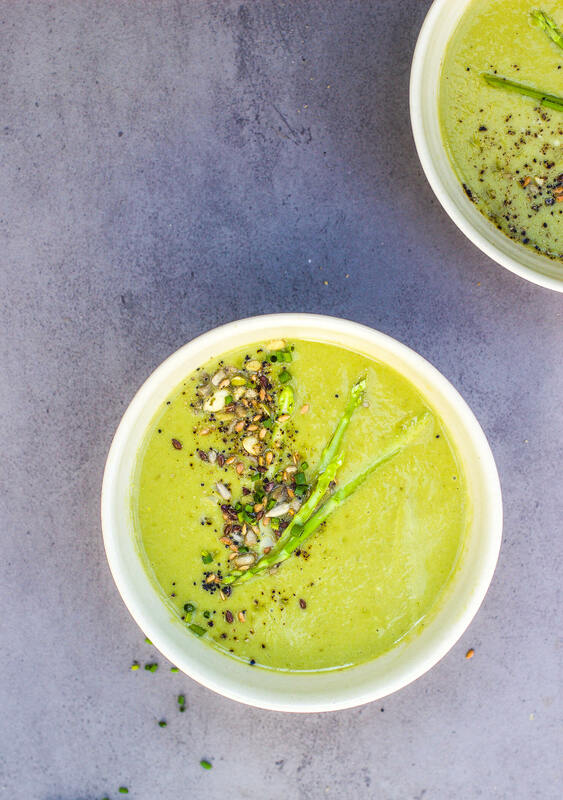 It’s light but creamy and comforting and it’s so simple to make. It only takes half an hour to make there are only a few seasonal ingredients. I have mine with loads of toasted seeds on top and it’s heaven with some sourdough. Add the olive oil to a soup pot on medium heat. Add in the minced garlic and sliced shallots and cook for about 5 minutes until soft. Add in the chives, toss and cook for another minute. Snap the ends off the asparagus and discard them, then chop the stalks into pieces about 2 inches long. Add them to the pot and cook for about 5 minutes, tossing regularly. Pour in the stock and bring it to a gentle simmer. Let it simmer for about 20 minutes until the asparagus is tender. While it’s simmering, toast the seeds on medium heat until popping. Blend the soup. Taste, season with salt and pepper and serve with toasted seeds sprinkled on top. Sounds lovely cant wait to try it. Just wondering what stock do you use? Big lover of aspargus!! Never thought to make a soup out if it. Nothing but goodness in this little summer dish! !